The text in this article has been edited. Last week, we published breaking news about the Viewty II, aka the Viewty Smart (which now turns to be the official name). However, it turned out that the German blog of the manufacturer had released the information by accident, so it had to remove it from the site a few hours later. We were sure though that the official announcement was bound to happen soon, and here it is – LG has now officially revealed its next-generation camera phone, the Viewty Smart. Despite its name, the Viewty Smart is not a smartphone, because it utilizes LG’s 3D S-Class UI, which looks pretty cool and is highly functional, but doesn’t allow you to install additional applications as on a smartphone. Still, the fancy interface has been customized a bit, in order to suit the Viewty Smart’s camera features. For example, there is an on-screen switch for quick swapping of shooting modes. There is also a thumbnail viewer, showing the latest images you have taken, so that you wouldn’t need to go to the photo gallery. As a piece of hardware, the Viewty Smart offers whatever you can dream of – a 3-inch touch-sensitive display with a resolution of 480x800 pixels, Wi-Fi and GPS. 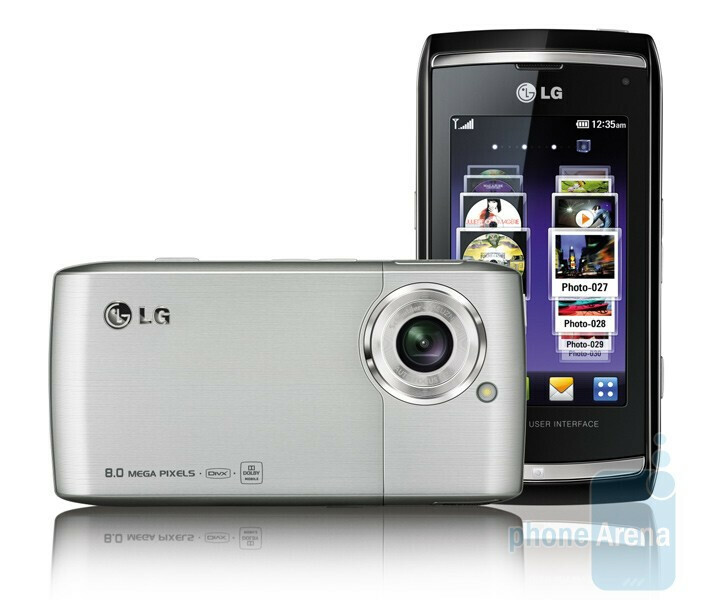 It will also sport DivX and Xvid support, but what is the most interesting about it, of course, is the 8-megapixel camera with a LED flash. It allows for a maximum ISO setting of 1600 and is capable of recording DVD-quality videos (sorry, no OMNIA HD competitor here). Additional features here are Multi-Face Detection, Panorama Shot, Art Shot, Beauty Shot, you name it! LG informs that the Viewty Smart will be launched in Europe, starting May. The company does say that the phone will be launched on other markets later, but doesn’t specify further. The same goes for the price – it hasn’t been announced just yet. Bah, what is the point of having a smartphone if you can't expand it by adding extra applications. this isn't a smart phone its a feature phone. And its a very nice feature phone if your into taking some high quality pictures.